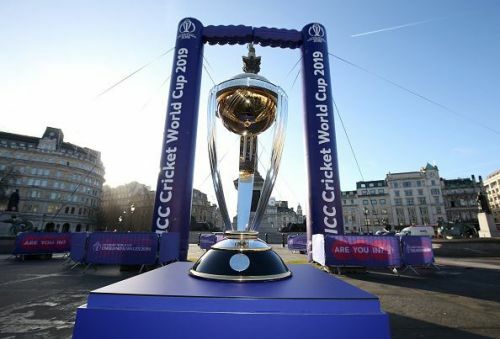 The 2019 Cricket World Cup is now less than 3 months away. This time only 10 teams are competing in the tournament and there are no groups which means all teams will get to play each other at least once before the semi-finals. England and India are among the favourites to win the cup this time. As we wait for the tournament to begin here's a dream XI featuring the top world cup performers of the 21st century. The player should not have played any world cup before the 2003 world cup. Thus, you'll notice GOATs like Sahin Tendulkar, Glenn Mcgrath, Ricky Ponting missing from this XI. The XI is based on performances in world cup matches and not ODIs in general. A batsman and wicketkeeper should have played in more than 10 innings and a bowler should have bowled at least 100 overs in world cup matches. All stats are from ESPN Cricinfo. The top 3 have been selected keeping in mind the premise with which ODI cricket is played in the recent time. The top 3s are tasked with scoring at a steady rate and build a solid foundation which can then be capitalized upon in the last 20 overs when the teams look to double the total. Hence, the average of the Top 3 is given more weight than the strike rate. Martin Guptill has featured in 2 World Cups so far (2011 and 2015). In his 17 world cup innings, the Kiwi opener has racked up 837 runs at an average of 57.78. He has the best average among all other openers who fit the qualifying criteria above. He also holds the record for the highest individual score in a world cup inning for his 237* against Windies in 2015. In this XI, Tillakaratne Dilshan features as the opening partner of Martin Guptill. In the 25 innings he has played between 2007 to 2015, he has amassed 1112 runs at an average of 52.95 and a strike rate just shy of 93. He has 4 50s and 4 100s in his name. His highest individual score of 161* also came in a world cup game against Bangladesh. At No. 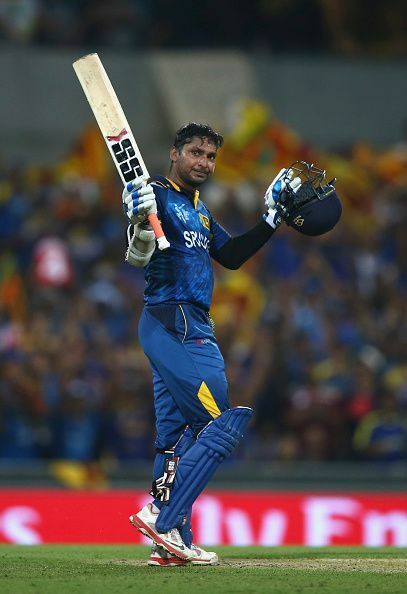 3 features, Kumar Sangakkara, the most successful left-handed batsman the game has seen. He has featured in all 4 world cups of this century. And in 35 innings, he has scored 1532 runs at an average of 56.74. He sits at No. 3 in the list of world cup all-time leading run scorers, only behind Sachin Tendulkar and Ricky Ponting. Having scored 5 centuries and 7 half-centuries in world cups, his highest world cup score of 124 came against Scotland in 2015.